We're finally underway at the AAU Junior Olympics, and Saturday was quite the kick off in Des Moines, Iowa. 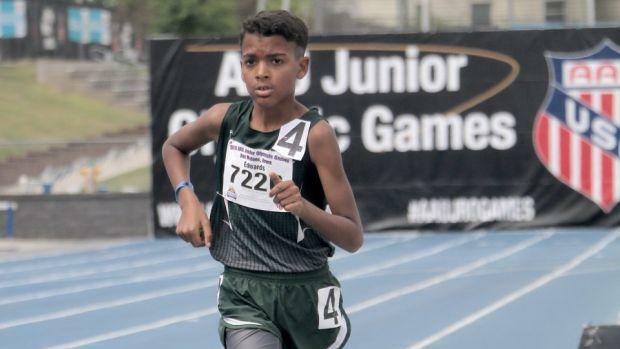 As the multis events unfolded from start to finish, along with the 1500m race walks, we saw the beginning of what will become a big week for youth athletes from around the country. Over 10,000 athletes are registered to compete at this year's Games. And while no national records went down, hundreds of athletes competed for personal best times on a very fast Drake University track. Over 1,200 entries and 120 heats were completed on Sunday. Below are some of the great moments from Day 1. In an event milestone, the AAU Junior Olympic Games has two athletes competing from Alaska and two athletes from Hawaii: Alaska -- Eagle River Porties' Reilly Hall and Eagle River's Jeremiah Wilson; Hawaii -- Ewa Beach's Tamia Hooks and Solomon Hooks. 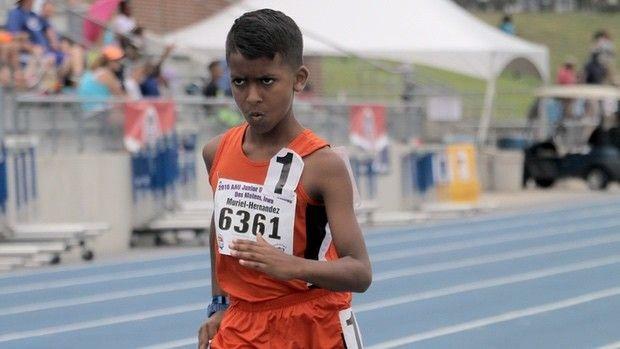 The viral moment of the 2017 AAU Junior Olympic Games was in the 11-year-old race walk, which pitted Texas Thunder's Judah Edwards against Ultimate Speed Academy's Caleb Nesbitt. In a thrilling finish, Nesbitt overcame Edwards in the final 100m to win in 9:11.85, despite a feverish kick by Edwards, who was just two seconds behind. A year later, though, it was a different story. Both athletes were back on the line, only this time Edwards never let this race get away. He put down the hammer early, extending his lead by 300m meters and then the Leander native never really looked back, winning in a new PR of 8:13.92. Nesbitt had to hold off another competitor to finish second in 9:29.02. Afterward, Edwards said he worked nonstop to get better, and it was redeeming to have won a race he said got away from him in 2017. The fact that Gentry was six seconds away from setting another national record in the girls 12-year-old race walk wasn't the big story. Neither was her third straight championship in a new best time of 7:18.46. No, check out the interview.